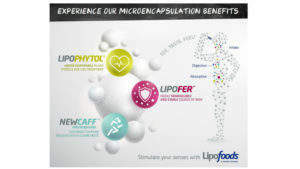 Lipofoods develops and manufactures microencapsulated ingredients for functional food and dietary supplement products. 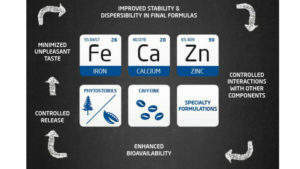 The company’s microencapsulation technology offers an innovative solution for micronutrient deficiency. 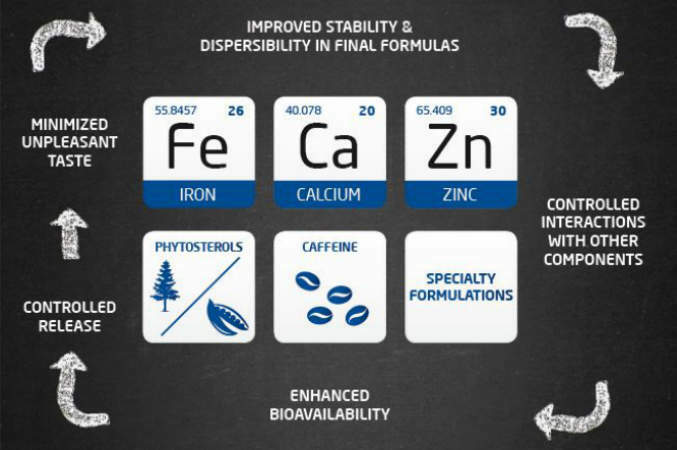 Its resilient coating avoids unintended chemical interactions, improves dispersibility and enhances the bioavailability of functional food ingredients. 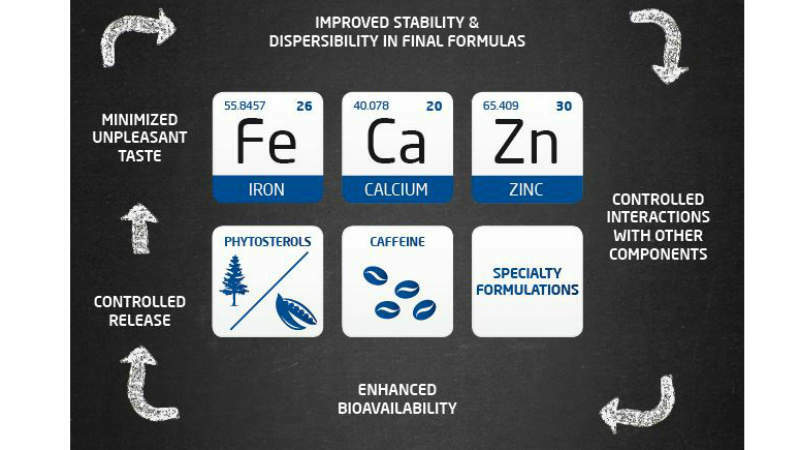 This overcomes the technical limitations associated with food fortification and helps reduce the risk of health conditions such as anaemia and osteoporosis. Lipofoods has an established distribution network and is an ISO: 22000 certified company. 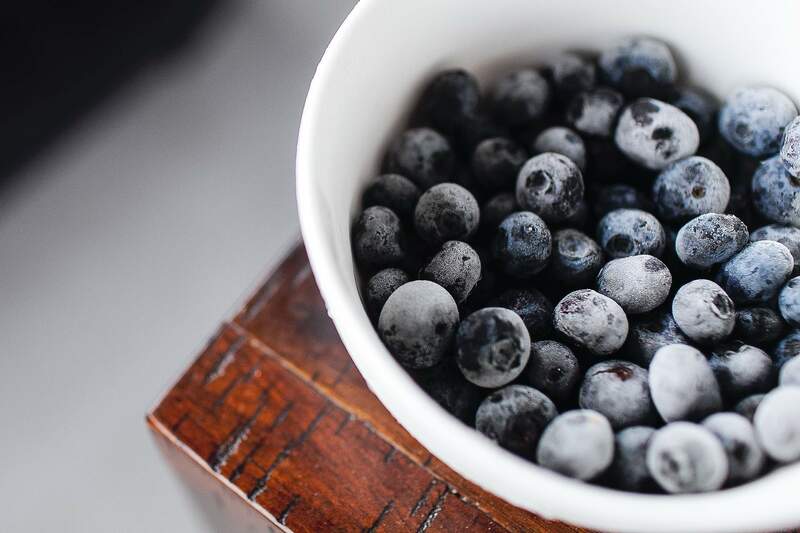 Lipofoods’ microencapsulation technology provides a technical solution for fortifying micronutrients such as iron, calcium and zinc to food products. The technology also helps stabilise final formulas, adding high levels of control in terms of how the ingredients interact with other components and the body. For example, controlled-release (CR), taste masking and high bioavailability can be implemented to enrich functional foods and dietary supplements. Lipofoods has a wide portfolio of microencapsulated ingredients to meet the requirements of different industrial applications, including dairy products, infant formulae and dietary supplements. LIPOFER® is a highly bioavailable source of iron used for milk and dairy products, cereal bars, bakery products and beverages. It has been proven to be more bioavailable than Ferric pyrophosphate and Ferrous sulphate. 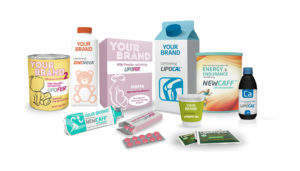 LIPOCAL™ is a water-dispersible, non-animal source of calcium for supplementation in products such as milk and dairy, soy, bakery products and beverages. ZINCNOVA™ is a stable and tasteless source of zinc for food supplements, nutritional bars, cold lozenges and dairy products. This non-reactive form of zinc oxide is microencapsulated into a fat carrier to prevent moisture uptake and improve bioavailability. LIPOPHYTOL® is a dispersible form of plant sterols (phytosterol) that helps control high blood pressure, reducing the risk of coronary heart disease. It is used in yellow fat spreads, milk, yoghurt, soya drinks, rye bread and cheese products in the EU, while the US Food and Drug Administration has approved it for conventional foods and nutraceuticals. NEWCAFF™ provides sustained caffeine release while masking its bitter taste. It is available in 60% caffeine and 75% caffeine options. Lipofoods aims to keep up-to-date with consumer requirements and trends in the health and food industries to ensure its products are innovative and reliable. The firm has formed a wide variety of partnerships, mergers and acquisitions to offer a fully integrated and customer-focused support network. 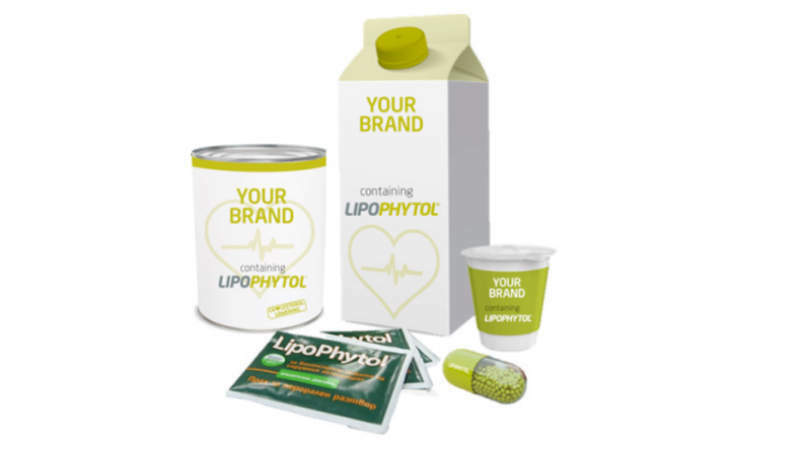 Lipofoods was formerly part of the Lipotec Group but was acquired by the Lubrizol Corporation in 2012. 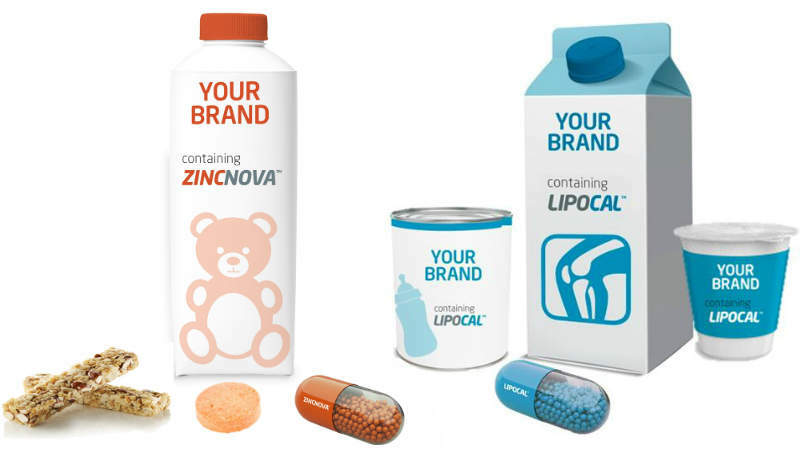 Lipofoods is now a part of the Lubrizol Advanced Materials, which has expanded Lipofoods’ portfolio, introduced it to new technology and improved its applications expertise. 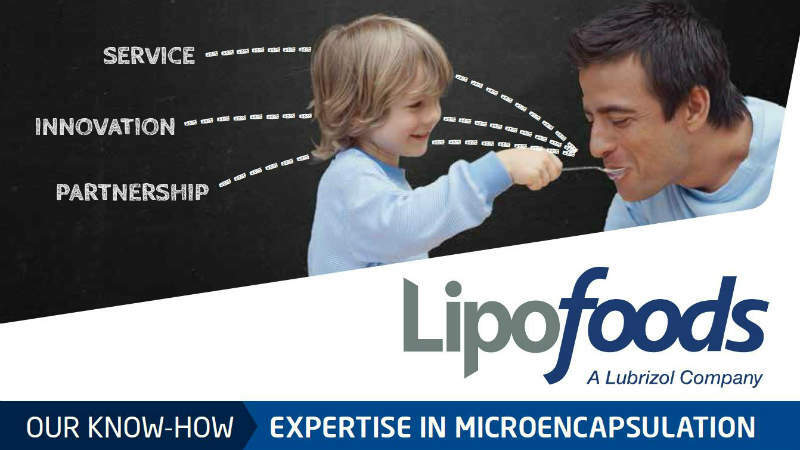 Lipofoods has announced it will be hosting a webinar about microencapsulation. Results of this study show that even though raw phytosterols and their microencapsulated form (LIPOPHYTOL™) reduce the cholesterol in a similar extent, LIPOPHYTOL™ is more effective decreasing the hypertriglyceridemia and against atherogenesis under a high-fat diet, demonstrating microencapsulation technology might enhance the activity of phytosterols. Lipofoods’ microencapsulated products target a variety of people from all age groups. They help overcome certain health conditions such as iron deficiency, osteoporosis and hypercholesterolaemia. 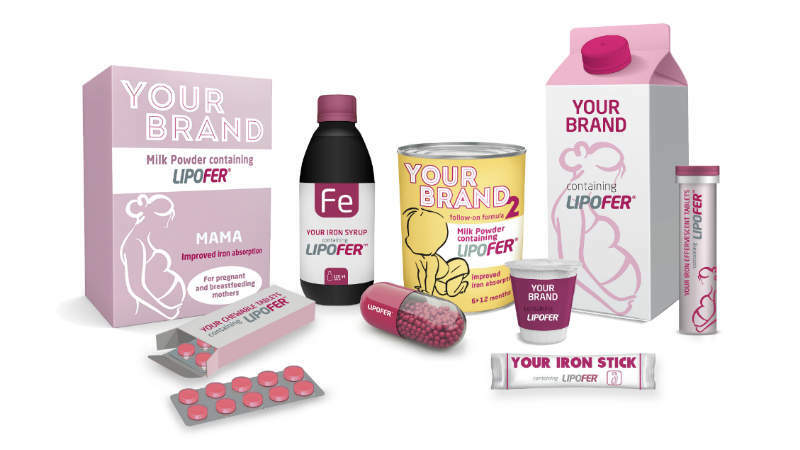 LIPOFER™ is a water-dispersible micronised source of iron that has been microencapsulated to boost iron absorption and reduce unwanted organoleptic characteristics. LIPOPHYTOL™ is a dispersible form of plant sterols, which has been microencapsulated to facilitate their incorporation in food matrices. 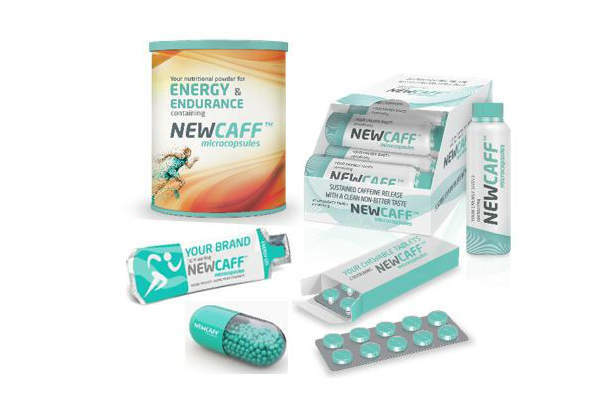 NEWCAFF™ microcapsules is a one-of-a-kind caffeine delivery system designed to mask the bitter taste of caffeine and provide a sustained caffeine release, ideal for high-intensity exercise. LIPOCAL™ is a water-dispersible micronised source of calcium coated with lecithin, while ZINCNOVA™ is a non-reactive form of zinc oxide that has been microencapsulated in a food-grade fat carrier to avert unwanted interactions with other components of food formulations. 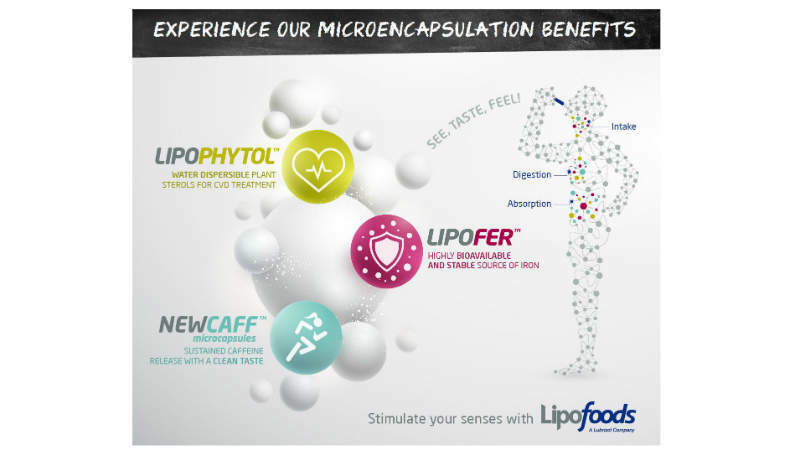 From minerals and caffeine to phytosterols and probiotics, Lipofoods is an expert in microencapsulation. This white paper outlines a study that saw different polyunsaturated fatty acid (PUFA) enriched infant formulas with added LIPOFER™ and other iron sources and mineral salts aged under controlled conditions and their oxidative deterioration was monitored. Lipofoods has announced it will be attending this year’s Vitafoods event to showcase Lipofer, a highly stable, vegan iron ingredient in a unique delivery system.